If your looking for a complete 4″ lift kit for your Toyota Landcruiser or Nissan Patrol then look no further cause Pedders has the solution for you! For the ABS models we also include the brake line as an extra component. The Pedders 4” Lift kits are available as a kit. Simply fit the parts, get the vehicle wheel aligned and you’re ready to go! The 9500 series foam cell eliminates shock fade. Extra-large 40mm bore and piston is much greater than original equipment size and provides an even larger increased oil capacity for greater ride improvement. The TrakRyder raised extra heavy duty coil springs are made from premium quality grade steel, are stress relieved and 100% QA inspected. All sway bar links, alignment products, extended brake hoses plus assorted chassis parts have all been designed, produced and tested off road to enhance the off road experience. All items included are more suited to rough terrain driving conditions. Vehicles can be further improved with the fitment of heavy duty/longer trailing arms, drag links and heavy duty steering dampers. See in-store for further details. Competition Use Only. Not for Road Registered Vehicles. A suspension lift kit raises the entire suspension system, which allows 4WD owners to install much larger tyres and safely take the four wheel drive off road and into rougher terrains. Unlike other types of lift kits, suspension lift kits actually suspend the entire frame (with all the major parts including the engine and powertrain) to increase the distance between the chassis and the axles. Pedders Suspension lift kits raise the entire suspension by changing the shocks and the front and rear springs. Raising a four wheel drives suspension means increasing the car’s center of gravity. It’s possible that the 4WD can become unstable, especially when turning at very high speeds. Adding a suspension lift kit can change the way a car feels to the driver, who may be used to a different way of handling the vehicle. Raised four wheel drives may also be more prone to leaning into banked turns. After installing a lift kit, drivers should practice driving the vehicle to get a better feel of the new suspension before doing any major off-roading. Installing a lift kit (particularly suspension lift kits) is a major overhaul. This may require 4WD owners to make additional adjustments. 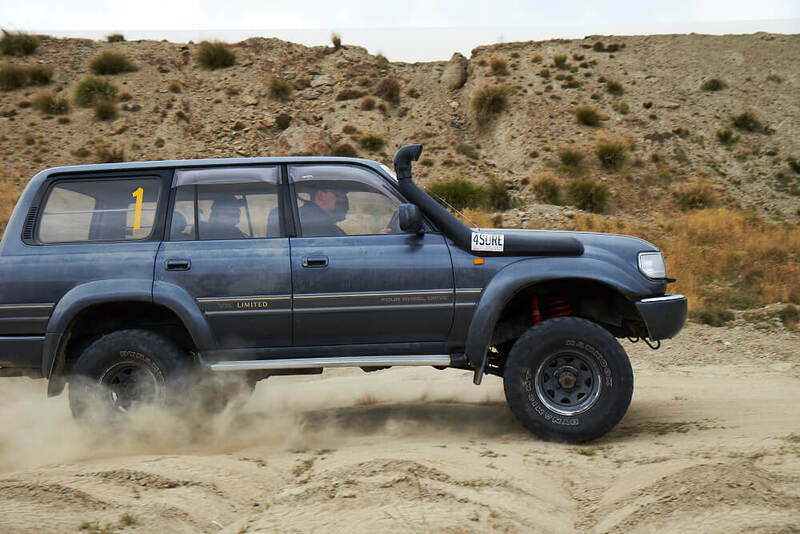 For example, some 4WD’s may have to be re-geared after adding larger tyres to compensate for the new tyre circumference. In addition, when oversize tyres are fitted it is highly recommended to install a Pedders heavy duty TrakRyder big bore steering damper.